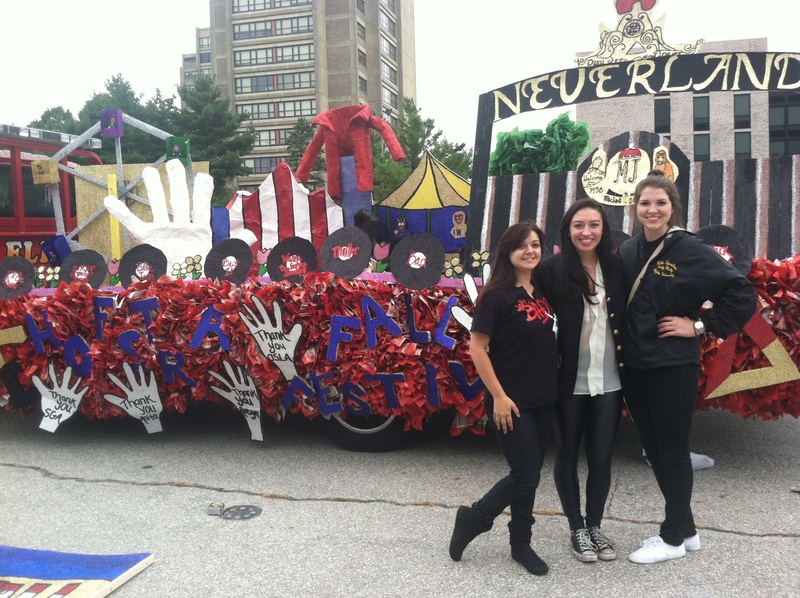 Hope everyone had an amazing time at Fall Festival 2012! 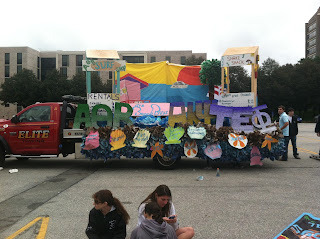 The week of hard work on the floats really paid off. 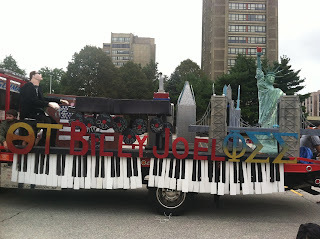 Even though it was an early morning for many to assemble the floats, it looked like everyone was having fun, and they all looked fantastic! I took tons of photos, hope you guys like them! 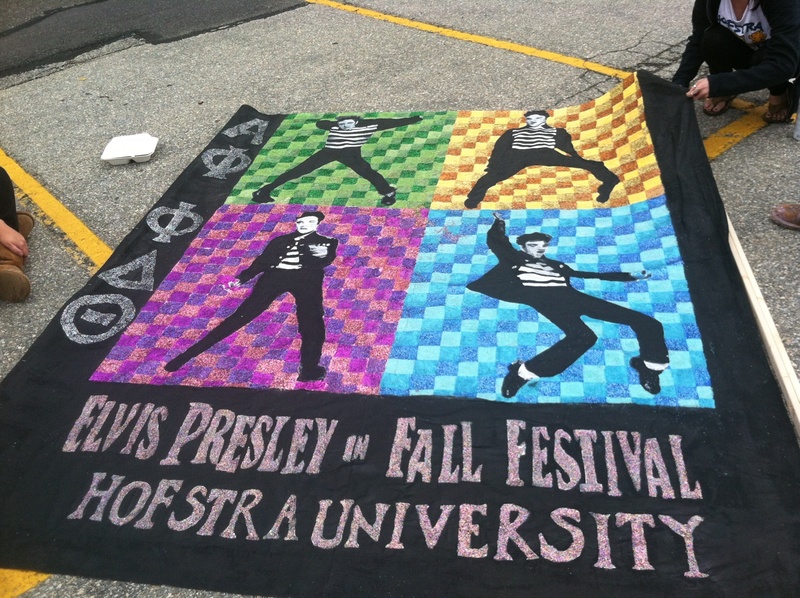 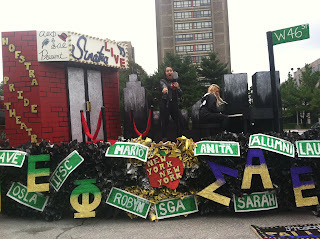 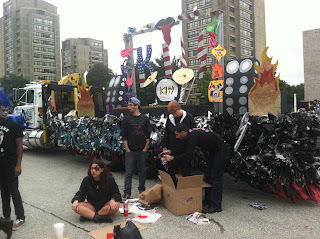 Phi Epsilon and Delta Chi had an awesome Michael Jackson float. 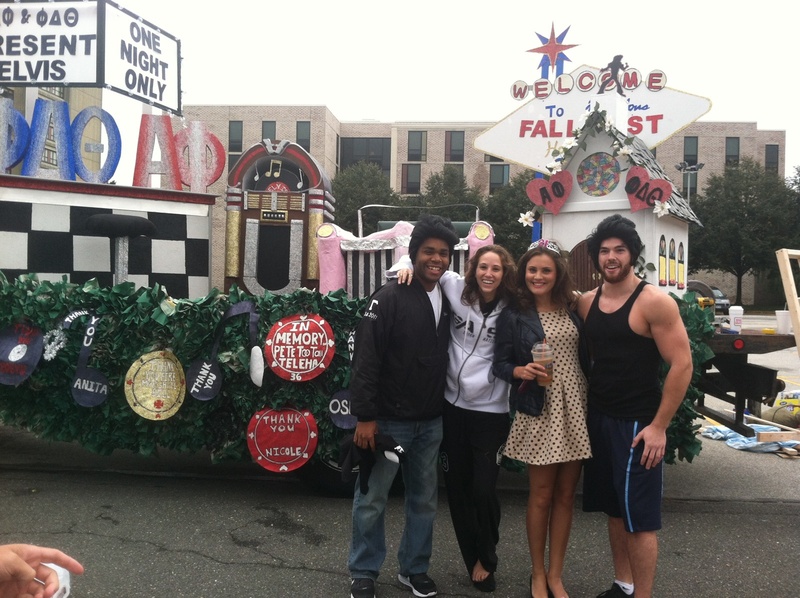 Briana Pattinson, a sister of Phi Epsilon (far right), says her favorite part of Fall Festival weekend is seeing all of Greek life come together, and working closely with another organization. TKE brother Mike DeVito posing in front of the Jimi Hendrix float. 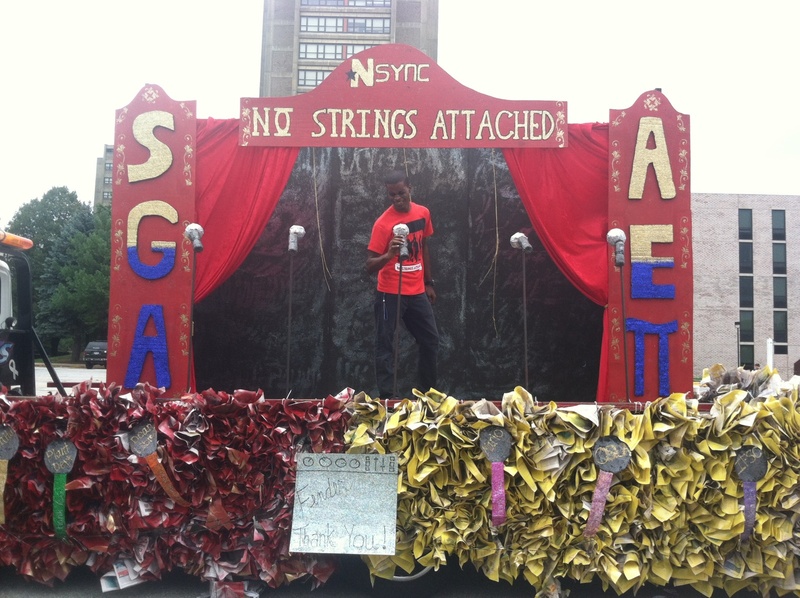 SGA President Tevon Hyman channels his inner Justin Timberlake striking a pose on the SGA NSYNC float! Alpha Phi and Phi Delta Theta members pose in front of their Elvis float! 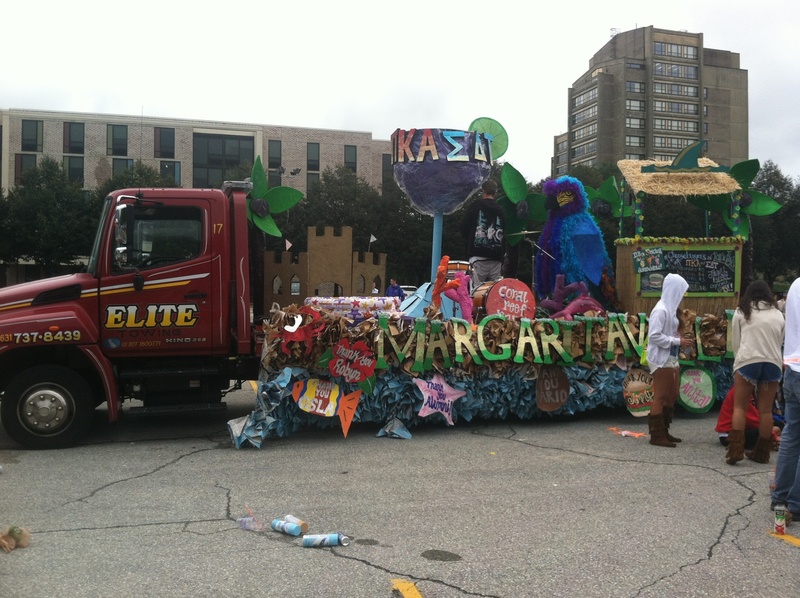 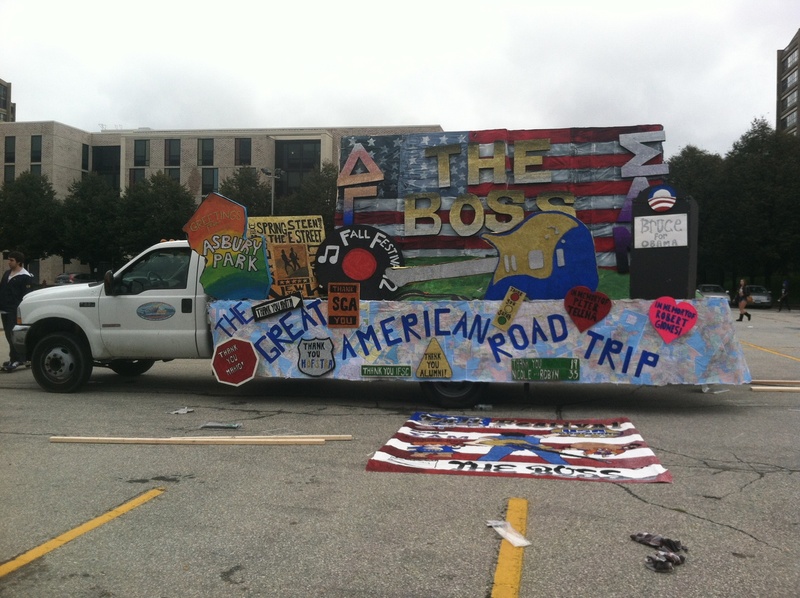 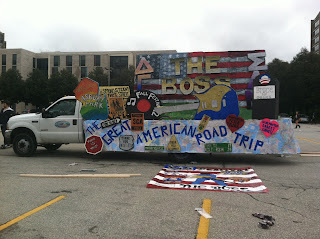 Danceworks and Sigma Pi’s KISS float. 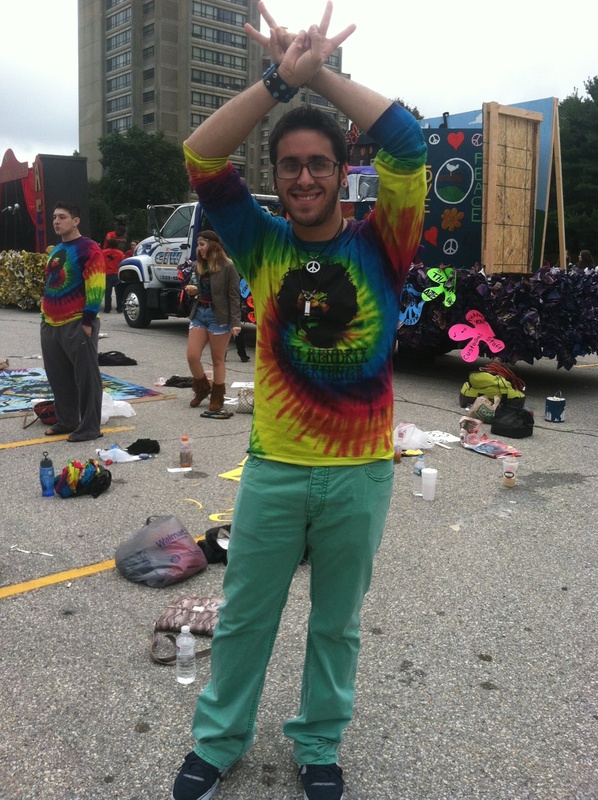 Richard Ilannou of Sigma Pi (not in photo) says his favorite part of Fall Festival is the lip sync competition because “all of the organizations get to go and compete against each other and it’s a lot of fun." 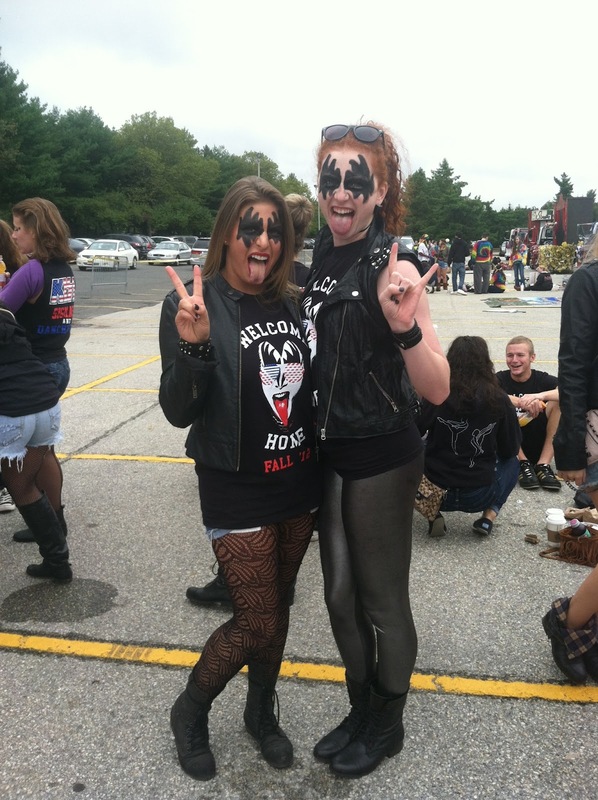 Danceworks ladies were really rocking out! 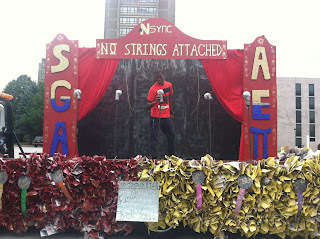 Danceworks Alum Sam Owens (not in photo) said she was really excited to come back to see the skits and floats because it is a completely different experience when you just come to watch. 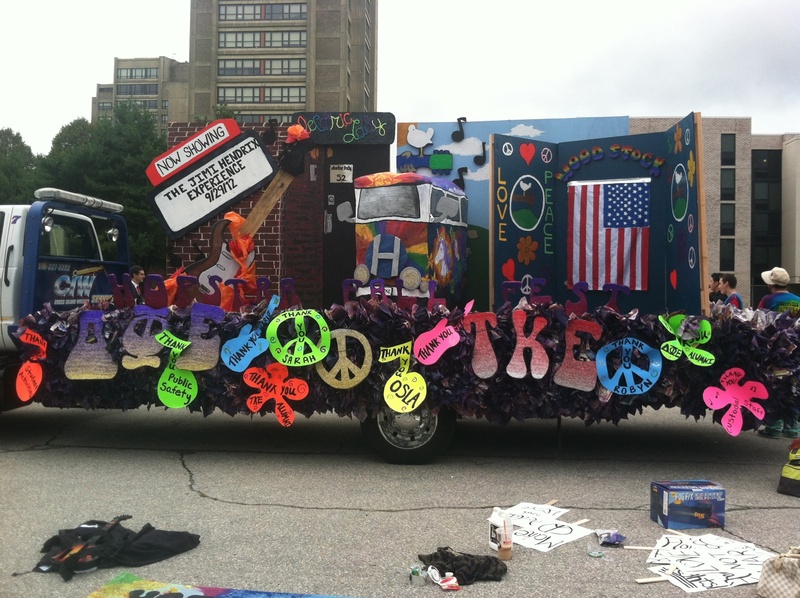 “The floats look so great, there was clearly a lot of hard work put into them."